This book was written by Victoria when she was only sixteen years old and yet it is full of wise, funny and relevant insights into living with dyspraxia. I found Victoria’s writing style engaging and honest. When someone who actually has experience of the disorder or illness they are writing about, actually manages to convey their difficulties so clearly, I feel it is easier to understand their point of view and empathise. Writing from your own experience makes it personal and more relevant than in the third person. Victoria doesn’t profess to be the world’s expert on her issues, but she offers words of advice and practical solutions to everyday life that can help others. Her sense of humour and the gentle way Victoria doesn’t take herself too seriously will help other teenagers to realise their own potential and find a path through the difficult maze of dyspraxia. I thoroughly enjoyed this book and you don’t have to be dyspraxic to find it interesting or to learn lessons from it. When I read this book, I kept checking back to see who the author was, as the story is so similar to my family’s that I started to wonder if I had written and published a book without realising it! Alison has written a book that offers an insight into what it can be like living with a child – her son, Daniel - who consistently makes demands on everyone they come into contact with and who can end up, through no fault of their own, in a system that often hinders rather than helps to provide a solution. There are tips on dealing with behaviours and situations and the pros and cons of medication as well as advice on how to go about getting your child the correct help. Alison rounds the book off with two chapters written by her children, giving their perspective on how they feel and then an update about what Daniel is now doing. From a fairly negative beginning, life seems much more positive and hopeful. My one reservation about the book is its title. 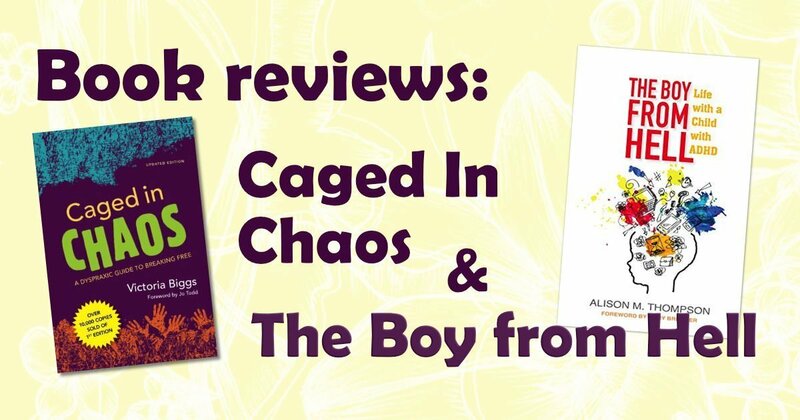 Alison does explain this in her introduction, saying she ‘never actually referred to Daniel as the boy from hell anywhere other than in my private diary’ but I feel that it is a very negative title and perpetuates the myth that children who have ADHD and other issues are somehow monsters. Nicky Goode is the parent of two children, one of whom has autism and attends an independent special school in the south of England. Nicky is a member of her local Parent Carer Forum in Surrey. Thank you so much for reviewing my book. I know the title is contentious and in part that’s why I chose it – and I’ve met so many parents who give a wry smile when they hear it. However, I know not everyone likes it and in fact when JKP first published it, there was a bit of a furore on their Facebook page about the title. I wrote a blog post to explain the reasoning behind the title, which you’ll find at http://adhdkids.org.uk/why-my-book-is-called-the-boy-from-hell/ . I hope it puts your mind at rest.